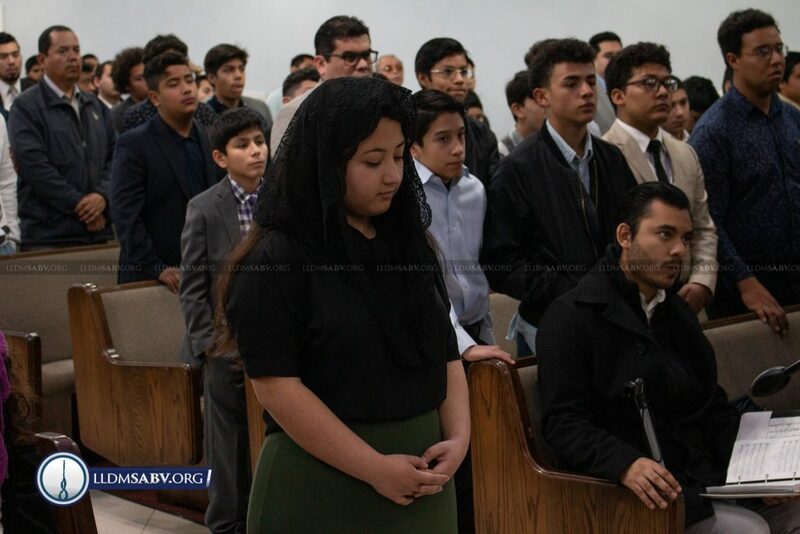 SAN ANTONIO – Minister D. L. Rey Villarreal invites Sister Herem Vazquez to the front of the church after the Sunday school for English speakers. Sister Herem has received deployment orders to work as a missionary in Canada. May the Creator bless our sister and her family!